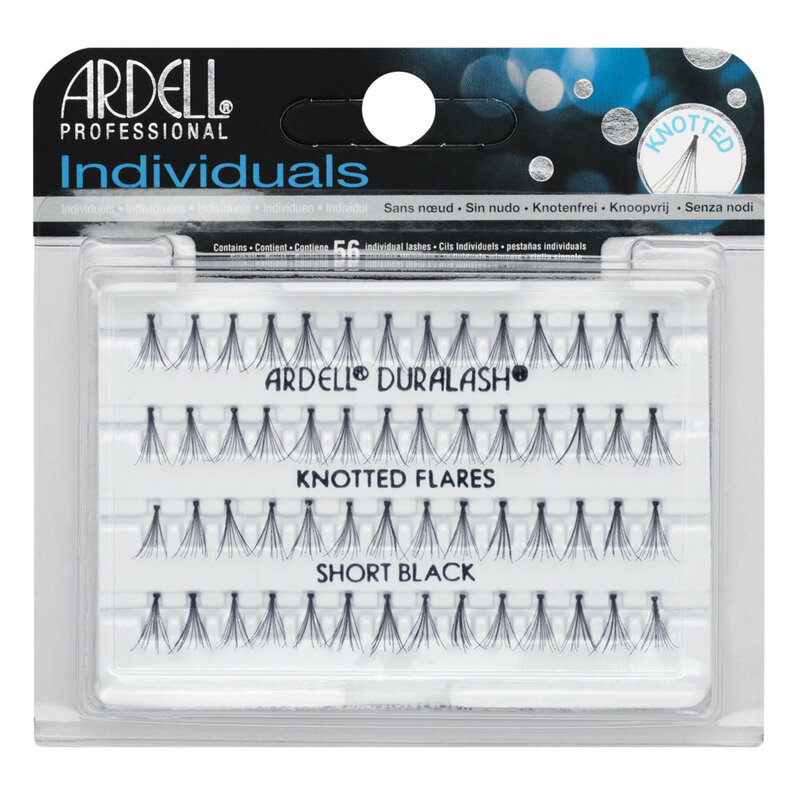 Ardell Duralash FLARE MINI length (6mm long) individual eyelashes are blend naturally and flawlessly into your own natural lash line. 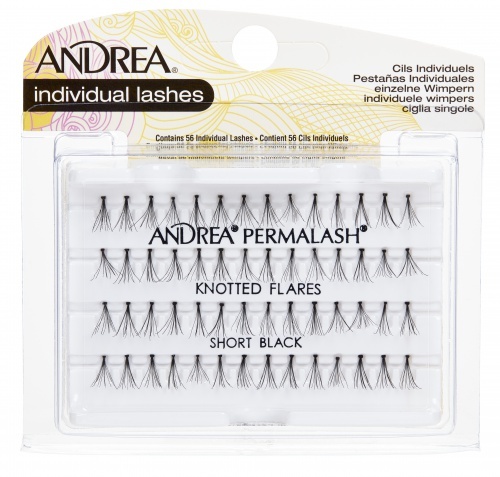 These individual lashes are KNOTTED, weightless, waterproof, and easy to apply. They're so natural you'll forget they're not your own. These individual lashes can be worn for up to 6 weeks at a time. 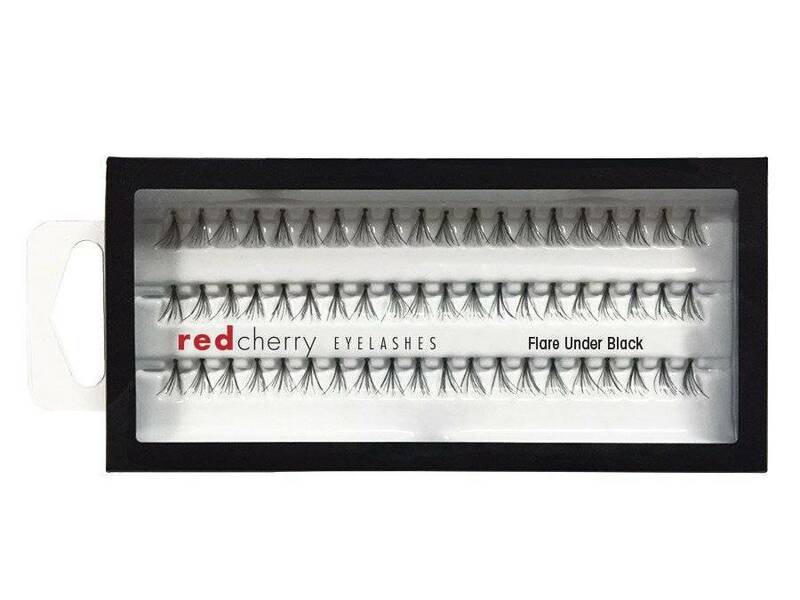 Each package contains 56 individual lash clusters. These mini lashes can also be used as Lower, Bottom (Under) lashes. Available in Black. 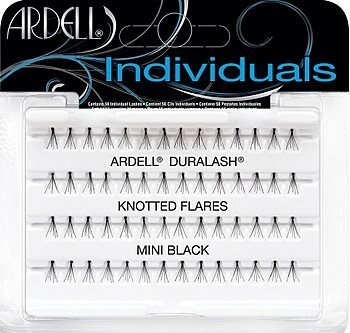 Mini Brown lashes have been discontinued by Ardell. For Mini Brown lashes, try Elise Individual 514, Everlash Spread Mini lashes, or Sherani Natural Flares 191 Under Lash. Use more lash clusters for added fullness and volume. Use less lash clusters for a more natural look by accentuating eyes with just a few lash clusters placed at the outer corner of the eyes. Start by pouring a small amount of individual lash adhesive onto a smooth surface. This could be a piece of aluminum foil, or it could be a small plastic surface from the tray that holds the lashes. Stir the glue with a toothpick for a few seconds to help the glue become tackier so it sticks better. Next pick up a lash cluster with tweezers and dip the knotted end in the glue. Try to get a thin, even layer on the lash so it doesn't look lumpy. Apply by attaching the cluster extension to your lashes. Start at the center of your eye and work toward the outer edge of the eye. Repeat going inward. Place the extensions directly on top of your natural eyelashes close to--but not touching --the skin of your eyelid. Once the cluster has been applied, gently hold it in place with a cotton swab until the glue dries. Blink a few times to make sure the cluster is firmly in place, then repeat the process with the rest of the the duralah individual lashes. Try bending the lash tray so the lashes are easier to grab. When the tray is bent, the lash clusters will "stick up" from the wells of the tray, making it easier to remove without damaging their shapes or pulling out any of the hairs. Make sure to remove the lower lash clusters from as close to the base as possible. This will ensure that their shape is in tact and no hairs are pulled off during removal. Dip your lash into the dot of glue and make sure the curve of the lash is DOWNWARDS (like your natural lower lashes are). Snuggle the flare lash either directly under or in between your natural lashes. Work your way in until you have your desired look. These Mini lashes looked so much like the Shu Uemura Flare Under Eyelashes that I had been lusting for months. I usually place 5 to 6 of these babies on my bottom lash line. I love these and they are very cost efficient. 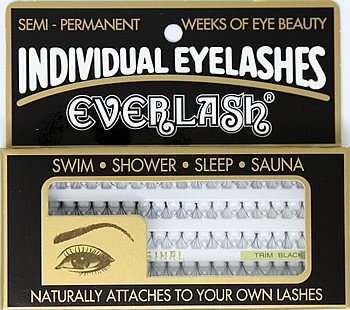 I used them last weekend,it was my first time to wear lashes to bottom lash line.